With Valentine's Day coming up it got us thinking...why wait for February 14th to give someone you love the gift of flowers? 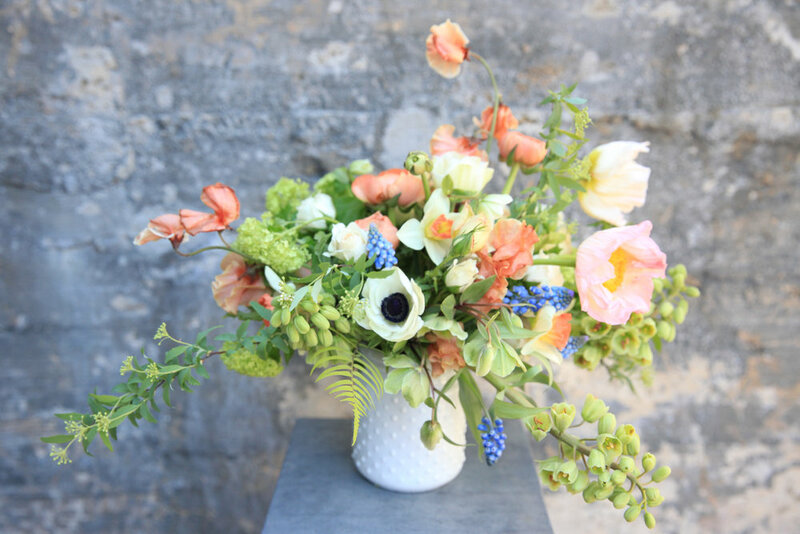 We can think of about a million everyday reasons to give flowers but here are our best 10. 1. A Bad Day: Everyone has a bad day once in a while. A bright and colorful bouquet of fresh flowers, especially happy yellows and pinks, immediately lightens a heavy mood. 2. Stress: Who isn't stressed out? A small bouquet or houseplant for a desk or windowsil is a simple way to add a bit of calm to a hectic environment. 3. Good Luck: Maybe someone has an upcoming performance, interview, business trip, or is starting a new challenge (no sugar for 30 days!). Fresh flowers are the best encouragement. 4. Thank You: There are a million kind everyday acts made by friends and family that can be reciprocated with flowers - a friend who stayed on the phone with you late at night, a partner who cleaned the house, a teacher who spent extra time with your child. 5. Catching Up: Sending an old friend or family member you haven't spoken to in a while fresh flowers is the best way to say I'm thinking of you. 6. Random Act of Kindness: Your favorite librarian, bank teller, grocery clerk...they could all use an anonymous flower surprise. 7. Remembering: Maybe it was this day 10 years ago that you rescued your dog or finished building your house. Birthdays and anniversaries are not the only important life dates to remember with flowers. 8. You're Amazing! Sending someone flowers just to say You're Amazing is basically the best surprise ever. 9. Treat Yourself: Buy YOUR favorite flower for YOURSELF. You deserve it. 10. Mark the Season: A bouquet to mark the start of a new season - fall blooms in late September, a jolly holiday arrangement in December, bright daffodiles in April, and big summer garden blooms in July remind us how special the seasonal cycle is. Most importantly, you don't need a reason! Just do it.